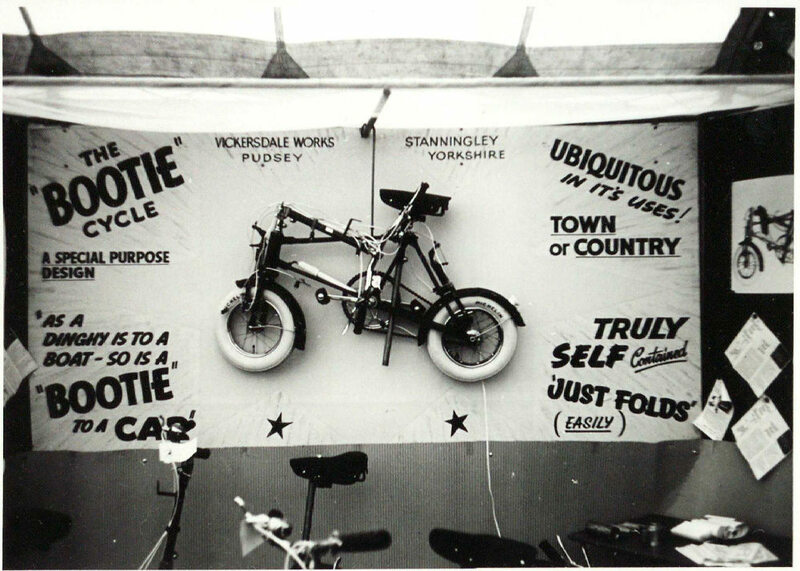 1965 York Rally – anyone remember the Bootie bike? The Bootie tandem. Photo: Warwick University Archives, via Brian Conolly. 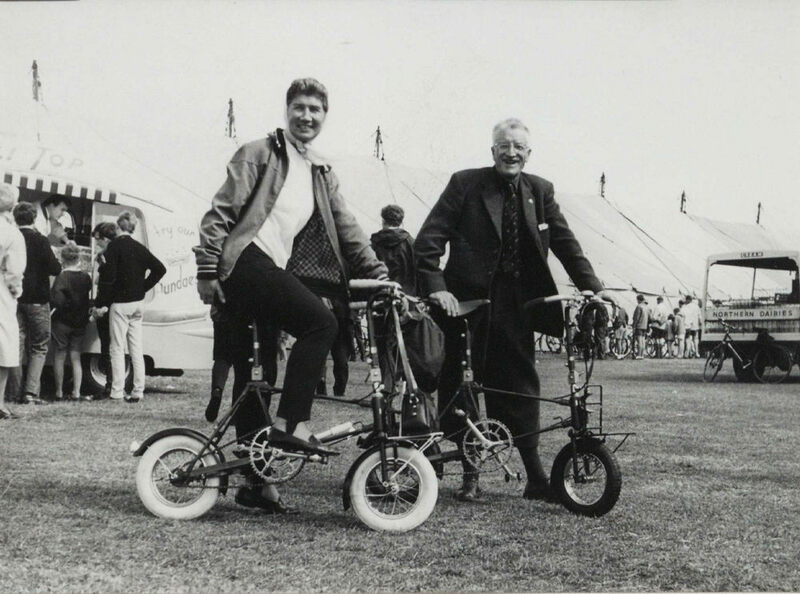 Wilf and Hilda Corum demonstrate the Bootie bike. Photo: Warwick University Archives, via Brian Conolly. 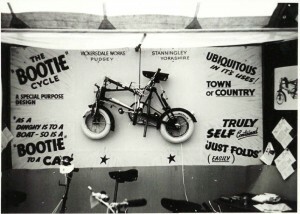 The Bootie bike.Photo: Warwick University Archives, via Brian Conolly. 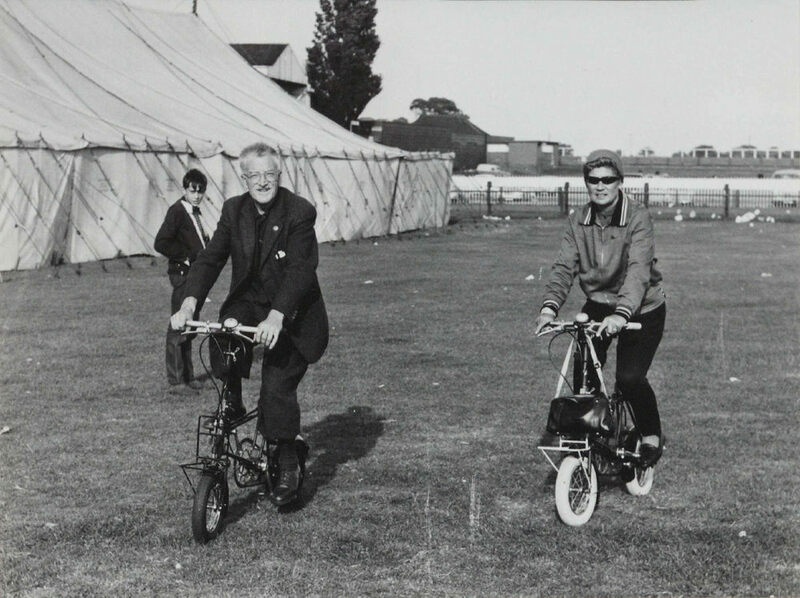 I’ve sent you some photos from the York Rally in 1965. I hope you find them of interest. 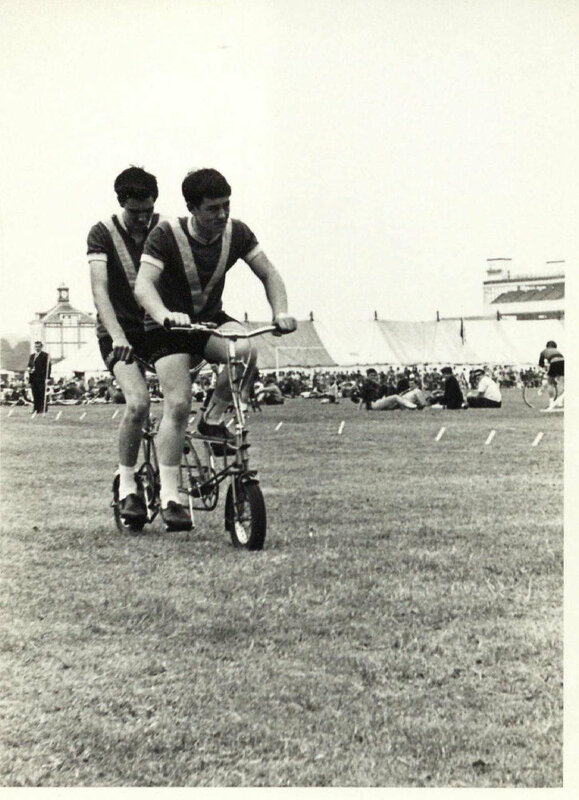 The Warwick University archives sent some photos to me for my web page (http://bootiebike.com/bootie/bootie.htm) on the ‘Bootie’ bicycle (mini cycle with folding bars and seat), and I thought you might be interested in those taken at the Rally. I was looking for background info on the location of the photos when I bumped into the archive section on your website. 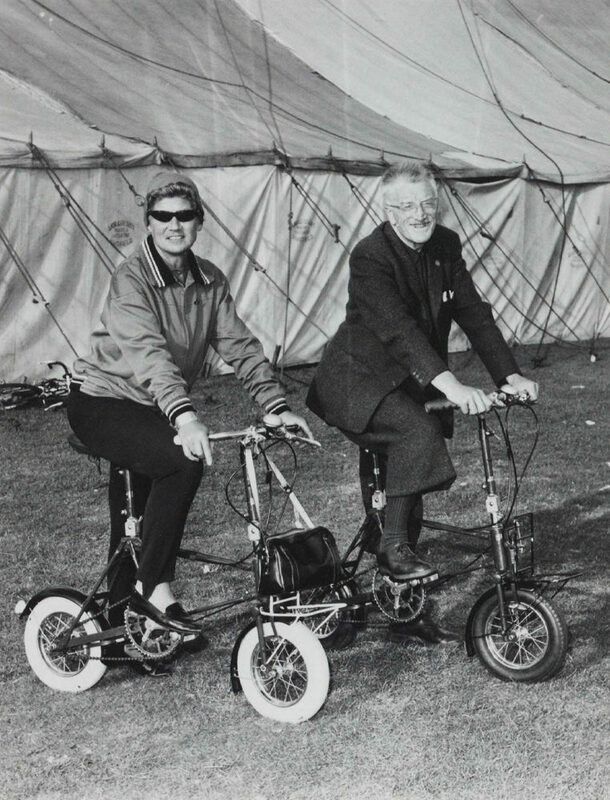 Some of the photos are of a well known cycle touring couple, Wilf and Hilda Corum, demonstrating the Bootie. 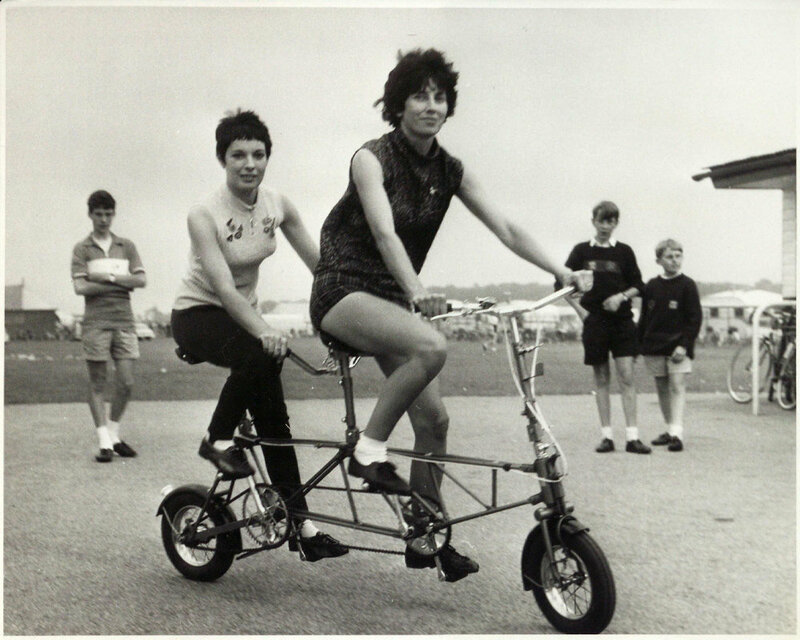 Others are of a tandem version. The Bootie was made at the Vickersdale Works, Stanningley, Pudsey from 65 to 73. 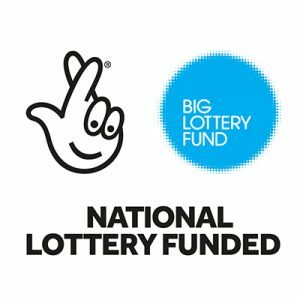 I’m always looking for more info – maybe some of your old timers know of it and can share their memories for the website. Please do leave a comment below if you have any information, memories or thoughts on the bike – or email me at publicity@yorkrally.org and I’ll pass any details on to Mr Conolly! 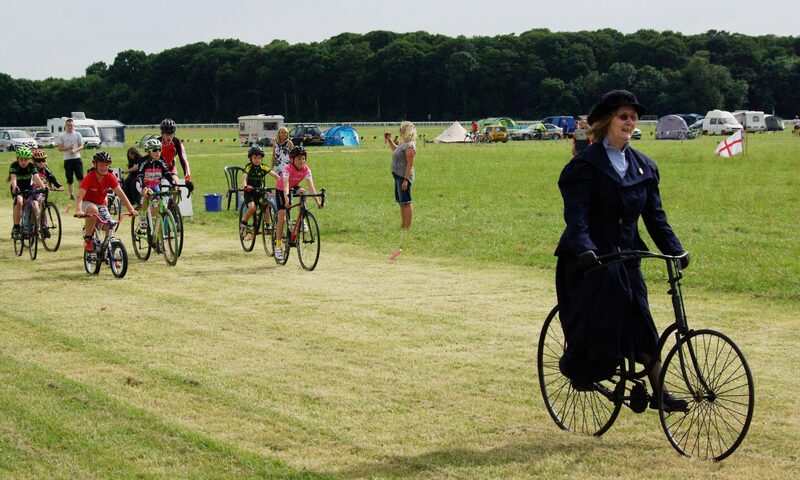 Previous PostPrevious York Rally 2015 AGM report and update!